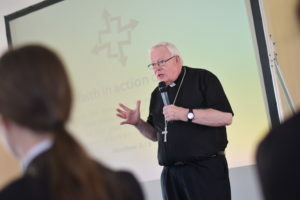 Sixty year ten students representing half of the High Schools of the Northampton Diocese gathered with Bishop Peter at St Paul’s, Milton Keynes for the second annual Schools Faith in Action Day. The day, organised by St Paul’s, Pax Christi, and the Northampton Young Ministry Office, began with a chance for students to grill Bishop Peter on issues as varied as the importance of prayer, how he puts his faith into action, and the role of women in the Church. Workshops gave the students chance to delve deeper into the issues with sessions on the dignity of work, peacemaking, and a presentation from Siobhan Doyle, a past pupil of St Paul’s who is currently a CAFOD Step into the Gap volunteer. Meanwhile the teachers had their own workshop exploring how peace and justice education can be incorporated more fully into the classroom. In the afternoon James Trewby from Columban Justice and Peace Education led an entertaining and inspirational presentation reflecting on how we are called, as Christians, to act for justice and peace in our World. 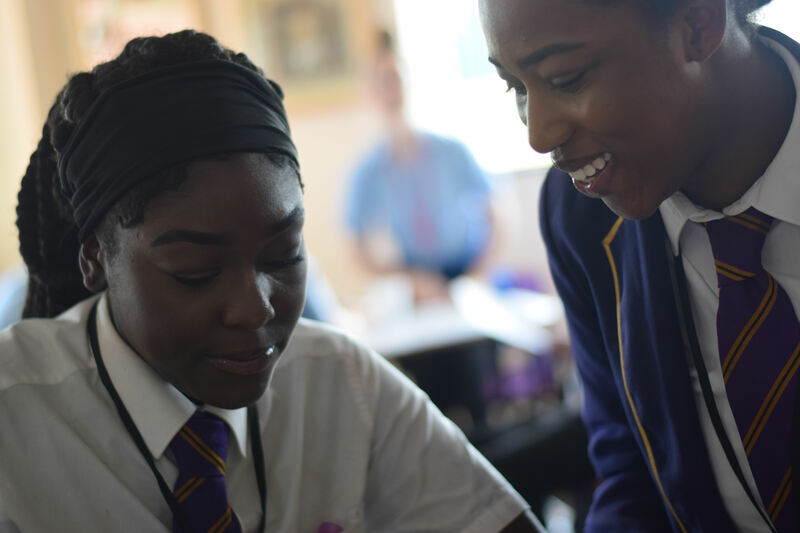 Jennifer Rowlands, a teacher from St Paul’s said ‘It was fantastic to see so many young people from across the diocese coming together to share their faith and to learn from one another’.